When it comes to corruption, Haiti is listed as one of the worst, most corrupt counties in the world next to Venezuela and Nicaragua, according to the latest report from Transparency International. According to the latest report from Transparency International, the president was right. Haiti has become even more corrupt dropping two points in the list from 2017. In 2017, at that time, Haiti's score was 22 out of 100 against 20 out of 100 in 2016 and against 17 out of 100 in 2015. 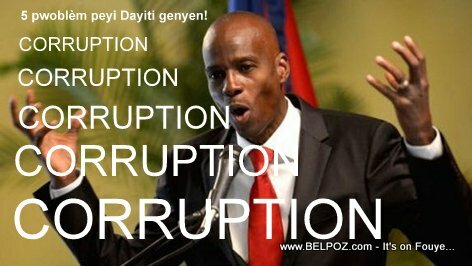 « Is Henry Ceant on his way out as Prime Minister of Haiti? I was very much amused at the whimsical reply to the article. I wonder whether the person who pens the article is trying to get on stage with Alciard as a comedian.